Romero was born February 27, 1937. He graduated from New Iberia Senior High in 1957. He served in the United States navy for 2 years and was on inactive duty for 6 years. He attended USL and LSU and graduated from the FBI National Academy. He began his career as a vocational plumbing teacher with the Iberia Parish School Board. In 1968 year he was elected police juror, on the Iberia Parish police Jury and served as Police Jury President from 1978 – 79. In 1979, "Romo" pulled off one of the biggest political upsets in history. Campaigning on a platform calling for more accountability from the sheriff’s office, Romero defeated 24-year incumbent and six-term Iberia Parish Sheriff G. "Jerry" Wattigny in a very bitter race, receiving 58% of the votes. In 1991, Wattigny challenged him once again for the position of sheriff, and this time Romero garnered 69% of the vote winning 83 out of 85 precincts to easily fend off the former sheriff’s challenge. 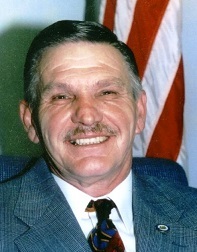 Romero served as Iberia Parish Sheriff for 16 years from 1980-1996. Romero will go down in the history as the only sheriff in the United States who refused to enforce the "Brady Law". His brief stated "Sheriff Romero suffers the damage incumbent upon being politically accountable for an action taken by Congress, for which he was not responsible". Filed in 1994, it was upheld by the United State Supreme Court as unconstitutional; (Errol "Romo" Romero, Sheriff of Iberia Parish Louisiana vs. United States of America Civ. A. No 94-0419) At that time Romero said, "It’s a matter of upholding the constitution, the primary function of the federal government is to protect us from foreign invasion, the Federal government cannot mandate local governments to do something they are not willing to pay for." In 1990, the Daily Iberian selected Romero as one of the most influential individuals in Iberia Parish. He is a lay minister, lecturer and usher for the Nativity of Our Lady Catholic Church. In 1997, Romero was elected to the House of Representatives District 48 seat, which includes Iberia and St. Martin parishes, succeeding Elias "Bo" Ackal, Jr. who left office to take a job in the Foster administration. "Romo" easily defeated his opponent by a 2-to1 vote. Throughout his professional career, Romero has been involved in many civic organizations: he has coached youth swimming, boxing and baseball. He was the former chairman of the March of Dimes, the Bishops Services Appeal and the United Givers Drive. He is a member of the American Legion, Knights of Columbus, Woodmen of the World and the Kiwanis Club. He is married to the former Mary Joyce Chevalon and has two children Clodora Romero Rhodes married to James Delvin Rhodes and "Shane" E.A. Romero, Jr. married to Brande Ann McEvoy.